In the last two chapters of Classrooms That Work, we’ve discussed what doesn’t work and strategies to garner kids’ enthusiasm for reading. 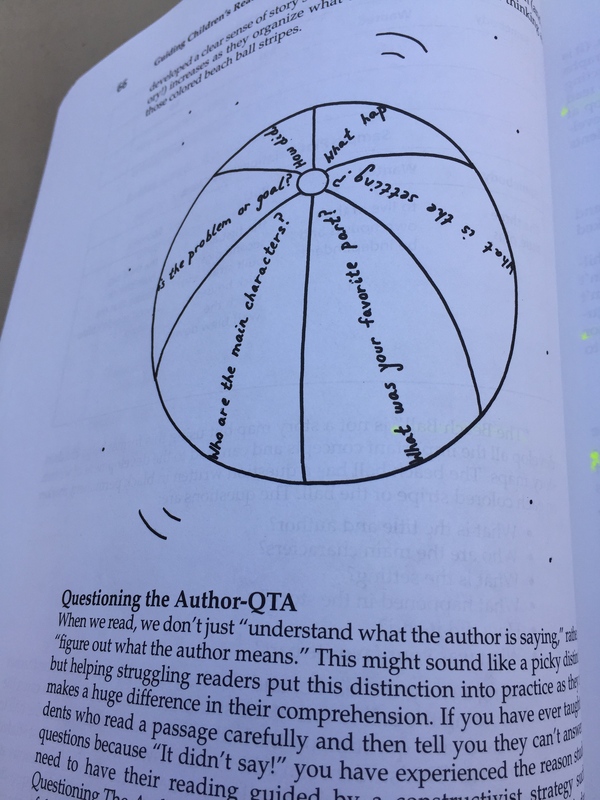 This chapter discusses comprehension and how to teach students to actually think about what they’re reading. Everyone thinks you should read this book! Sure enough, I see very often that kids have had phonics drilled into them and know letter sounds, but have no idea what they’re reading. They’re under the impression that reading is just sounding out words and saying them properly; they’re unsure of what else it entails because no one has really told them. This chapter was a great read for me because it was absolutely full of different activities to do with large or small groups that engage kids in active reading. The beginning of our latest chapter! I have a basic set of ideas and activities to do with kids for reading activities, but many of these were things I had never heard before, or put creative spins on activities I was already utilizing. For example, there’s an excellent beach ball activity which can be used after reading in which a beach ball is thrown from student to student which has broad questions (which will work for most stories) for them to answer. I also often struggle with guided reading. Currently, my students are at such different levels that many of them need to read in a group of only one or two. Even with centres every morning, I wish I had more one-on-one time with them. 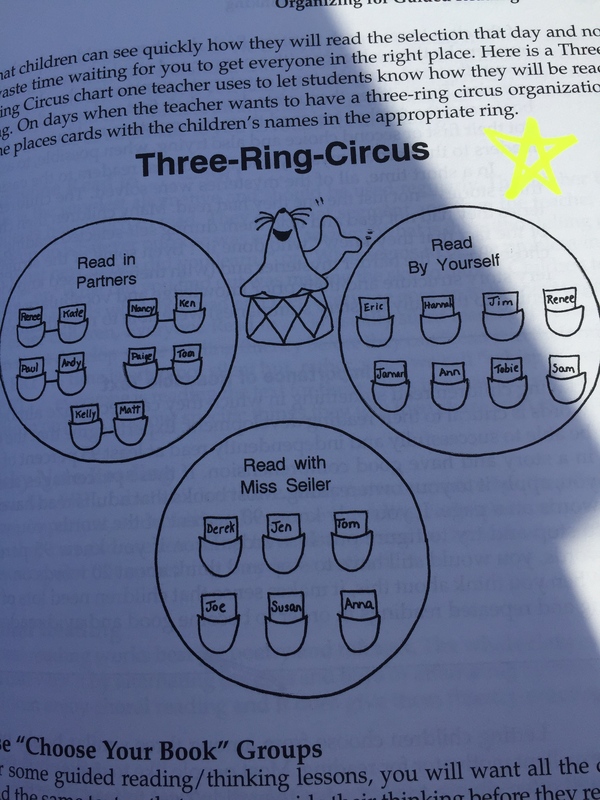 An excellent solution is the “Three Ring Circus” for reading, which could easily be added in two or three times a week for a bit of extra guided reading time. I am truly finding this book to be one of the most helpful I’ve read. It’s full of ideas that are new to me (perhaps because they’re innovative, perhaps because I have a secondary background, perhaps both) and I highly, highly recommend it to all teachers. Here’s the link on Amazon if you’d like more information about it.